The official VW show season opener. 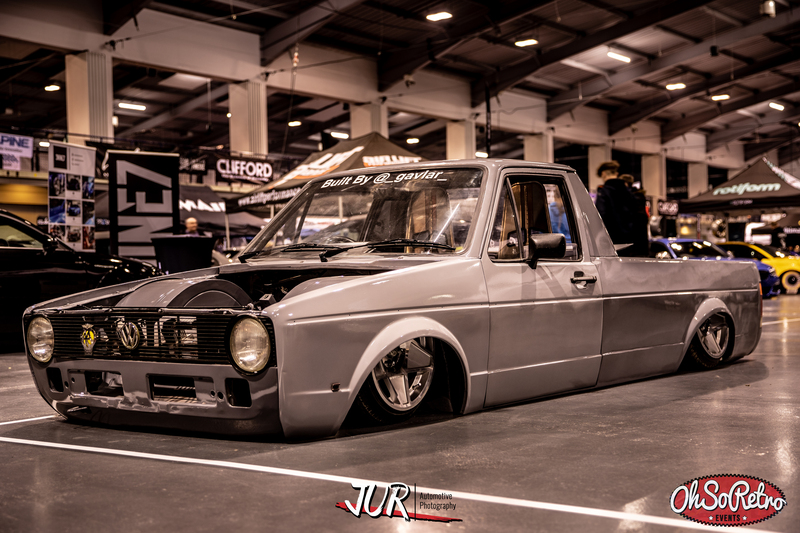 Ultimate Dubs kicks off the calendar in early March at the Telford International Centre. Predominantly a watercooled VW event but over the last few years it seems to have a real mixture of show quality cars from Mercs, BMW’s and even a (sick noises) Corsa on display. We have decided to include a few non-retro cars in here to give you a real vibe for the show. Massive thanks to Josh U R Photography for the coverage once again! This entry was posted by Lee in Blog, Events and tagged air ride, aircooled, airride, Audi, Audi 50, audi quattro, audi r8, bagged, bgw, body dropped, caddy, car show, corrado vr6, g60, harlequin golf, mk1 caddy, mk3 golf, Porsche, Porsche 911, rabbit pickup, rallye, rat look, ratrod, ratrods, seat arosa, show car, telford, telford international centre, ultimate dubs, ultimate dubs 2019, volkswagen, vw, vw caddy, VW Corrado, vw golf, vw golf rallye, vw scirocco, vw show, watercooled.